Our vision is to be recognized as the premier small-animal hospital in our community, offering unparalleled service and cutting edge veterinary care to our patients and their owners. "We're a small practice, which gives us the ability to bond well with our patients and their owners and also with each other. It helps to create a family-like atmosphere, which I love." Our sister facility, Levittown Animal Hospital, has continuously been recognized for amazing care and top of the line service. We are proud and fortunate to have the Best of Long Island on our side! Our mission is to offer the best health care options for our patients in a compassionate, friendly, and caring environment. With appropriate client education we empower you to make informed decisions about your companion’s health care. We care about the feral cats in our community and aim to protect these animals with basic veterinary services so they can live longer and healthier lives. 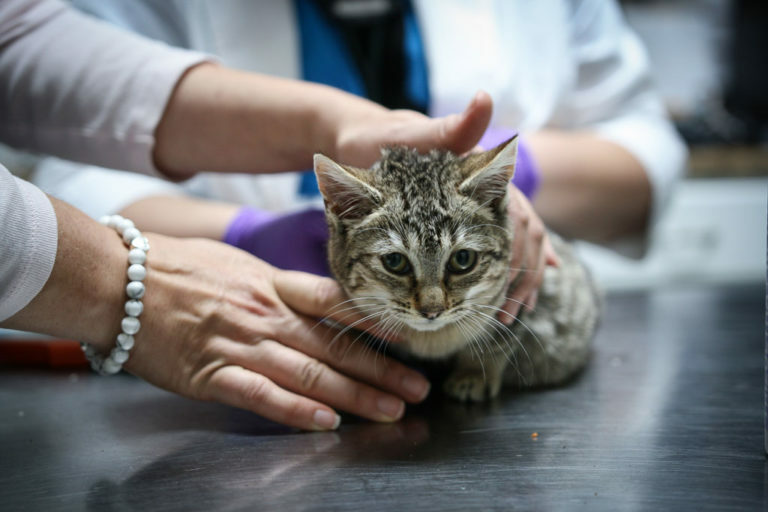 Our doctors perform spay/neuter procedure, administer vaccines, treat for internal and external parasites, and add an ear tip to identify sterilized felines. Along with our sister hospital, Levittown Animal Hospital, our practices are among the first on Long Island to be certified in Low Stress Handling, a certification that denotes our commitment to making every patient’s visit as pleasant and stress-free as possible.